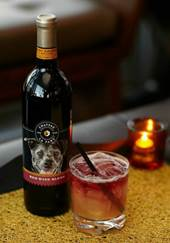 Chateau La Paws Wines, a newly re-launched wine brand from Diageo Chateau & Estate Wines (DC&E), was released recently combining the company’s love of dogs with delightful wines to create a delicious, easy drinking wines with a purpose. The mission is simple: wine lovers joining DC&E in supporting rescue dogs in need, helping them find a permanent chateau of their own. With three varietals, including Chardonnay, Pinot Noir and Red Wine Blend, Chateau La Paws Wines are perfect for pairing with everyday meals, enjoying while spending time with your best friends or sharing with fellow dog lovers. However, with a mission to help the thousands of rescue dogs across the country find fur-ever homes, Chateau La Paws is more than great wine. Through an official national partnership, Chateau La Paws Wines proudly supports North Shore Animal League America (NSALA), the world’s largest no-kill animal rescue and adoption organization. Since 1944, NSALA has placed more than 1MM animals in happy homes, an effort that will be further bolstered by a $100,000 donation from DC&E. As part of the NSALA partnership, Chateau La Paws™ Wines will also support the Tour for Life, mobile rescue & adoption units that travel to cities across America partnering with local shelters to encourage and facilitate adoptions. In 2015, NSALA will celebrate the 15th anniversary of the Tour for Life, partnering with 40 organizations and visiting 26 cities across the country from March through May. The three California varietals are available nationwide and have a flavorful portfolio of distinct fruit notes. With a soft, supple nature, Chateau La Paws Chardonnay opens with ripe melon, orange blossom and spice aromas. On the palate, flavors evolve into fresh, tropical fruit and crisp, green apple notes. Partial oak aging imparts depth and layers, leaving nutty, vanilla accents to join the lemon meringue finish. The Pinot Noir’s expressive varietal character delivers Bing cherry, strawberry and blackberry briar aromas with long, heady accents of vanilla and caramel notes. Lastly, the Red Wine Blend’s blueberry, raspberry and black forest cake aromas open the nose, followed by dark berries and sage notes on the palate. Soft and velvety in texture, the wine has a fruit-driven profile that pairs well with a variety of foods. 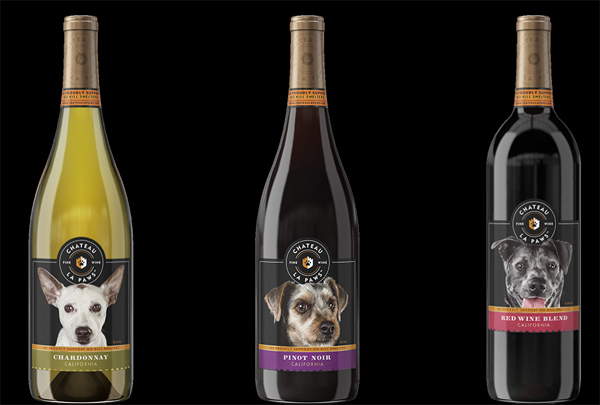 The launch of Chateau La Paws Wines will be supported through social activations on Instagram (@chateaulapaws) and Facebook (www.facebook.com/chateaulapaws), in-store promotions, point of sale materials, public relations efforts and a cause marketing campaign in early 2015. 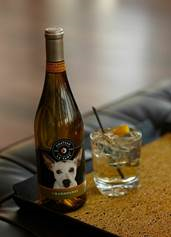 Chateau La Paws Wines will be available in stores nationwide and sold at the suggested retail price of $12.99 for a 750 mL bottle. Just as owners of rescue dogs show great responsibility towards their four-legged friends, please always enjoy Chateau La Paws Wines responsibly. And remember give your dogs hugs and treats, but please don’t feed them wine. 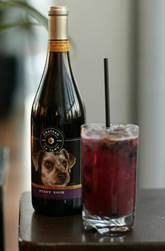 Plus here are some great cocktail ideas that you can make with the Chateau La Paws Wines. Print article This entry was posted by Art Eddy III on March 2, 2015 at 1:08 pm, and is filed under Lifestyle. Follow any responses to this post through RSS 2.0. Both comments and pings are currently closed.